The original structures of Forestville have been painted and maintained, but the original decorum and effects were left largely untouched. 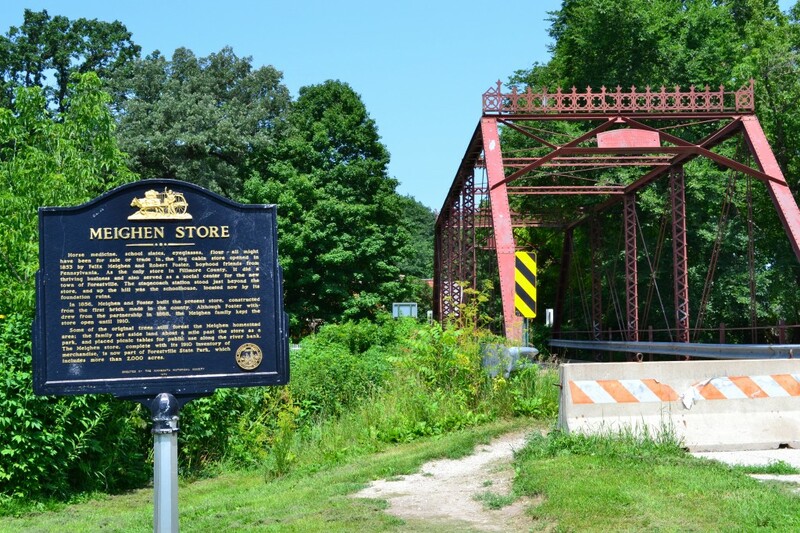 In fact the steel bridge built in 1899 that leads into town is still there. It’s basically a case of the 50 or so townspeople packing up and leaving as if a volcano were about to erupt nearby. Everything was left as it was, including merchandise in the store and tools in the sheds. 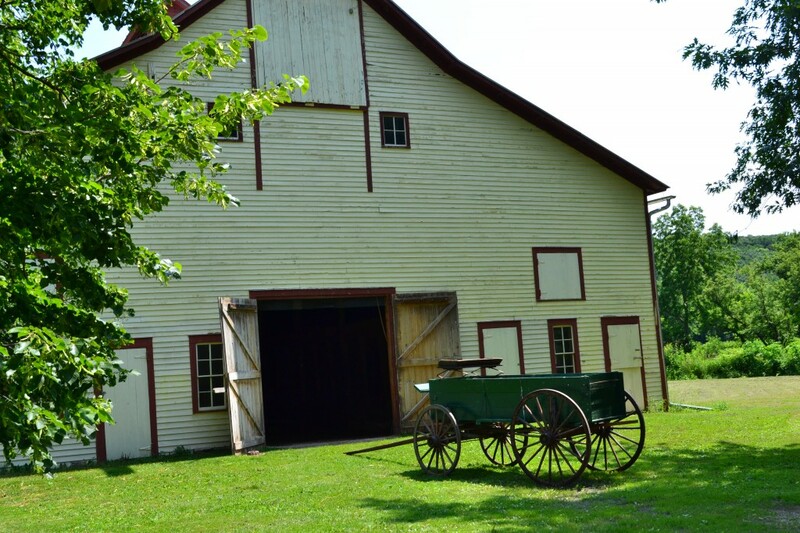 The barns feature antique farm equipment such as plows, icepicks, sawbucks, and everything else you haven’t seen in ages, if ever. Chickens run amok all over the place and laundry is hung to dry after being cleaned by washboards. The tools are archaic and obsolete, and harken back to a much simpler time. Everything is authentic. What I really found most interesting about this place was the Meighen Store. 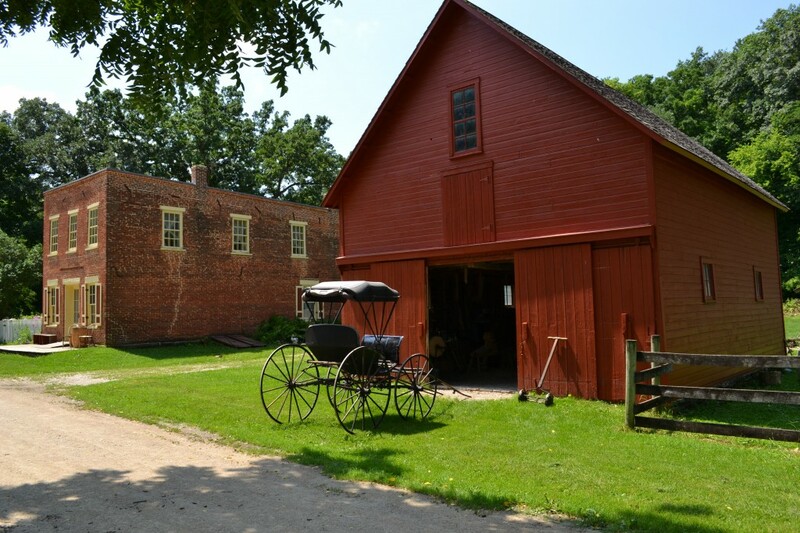 When Forestville became a ghost town in the early 1900’s, and later bought by the Minnesota Historical Society, the buildings were never looted or sold off, so you can see original wares sold here over 100 years ago. Upon entering the store, the shopkeep will ask you for your shopping list and, true to character, act puzzled when you giggle at his comments and questions. 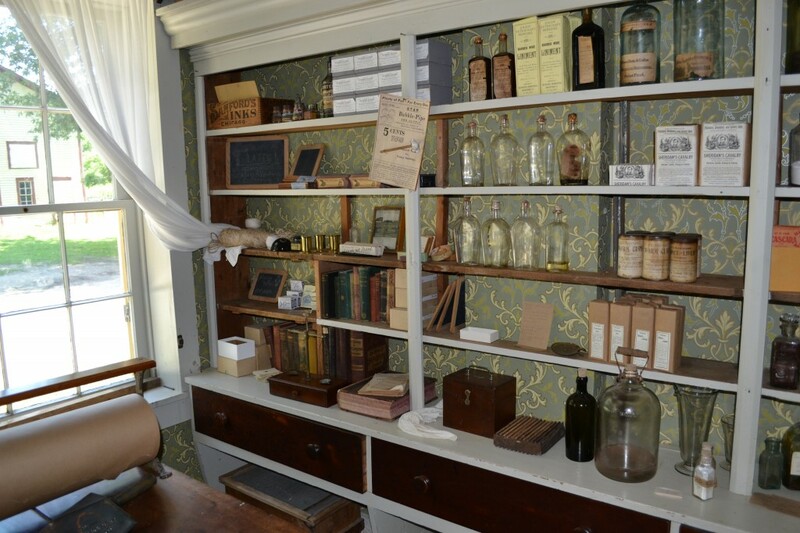 The Meighen Store is centerpiece of the experience, with its original inventory from 1910 including medicines, tonics, clothes, books, and more. The tour takes about an hour or so and is largely entertaining and educational. You go through the home of one of the prominent townspeople, through the kitchen where a housewife is getting ready for mealtime, the store, the garden, the barn, and of course- exit through the gift shop. 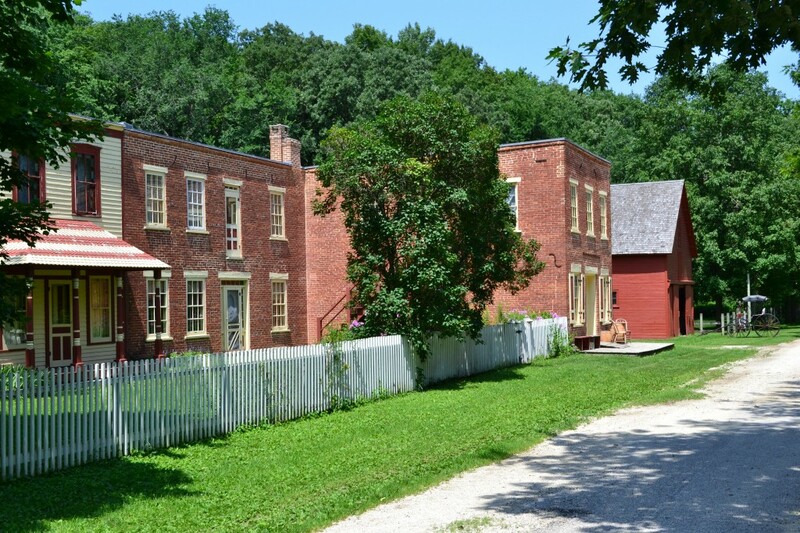 It’s fun hearing the Living History characters talk and act as though it were still in the 1800’s, and the whole scene is set in the valley bottom of a beautiful area. 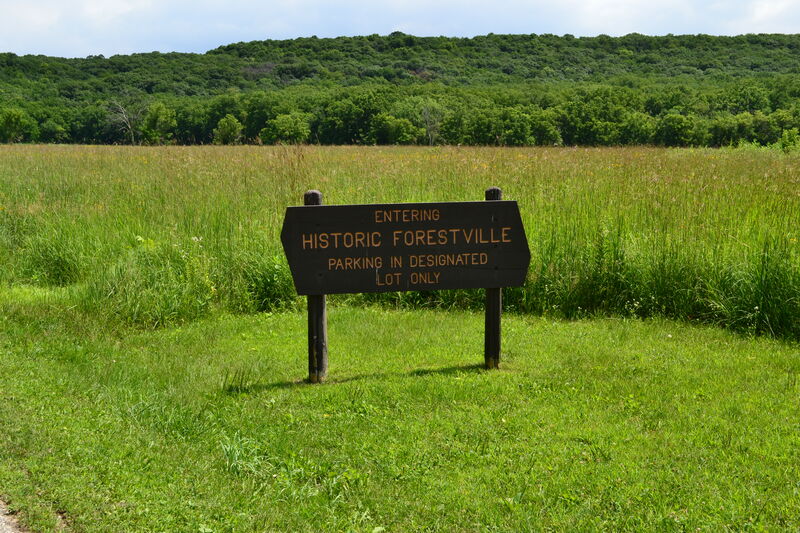 While in the area: The Forestville town experience is only about 1/3 of what else is to be seen at this State Park. There is also the nearby Mystery Caves, as well as hikes up the ridgeline to scenic lookouts among the bluffs. Trout fish in Canfield Creek, and hike over to the dramatic Big Spring, the start of the said creek. 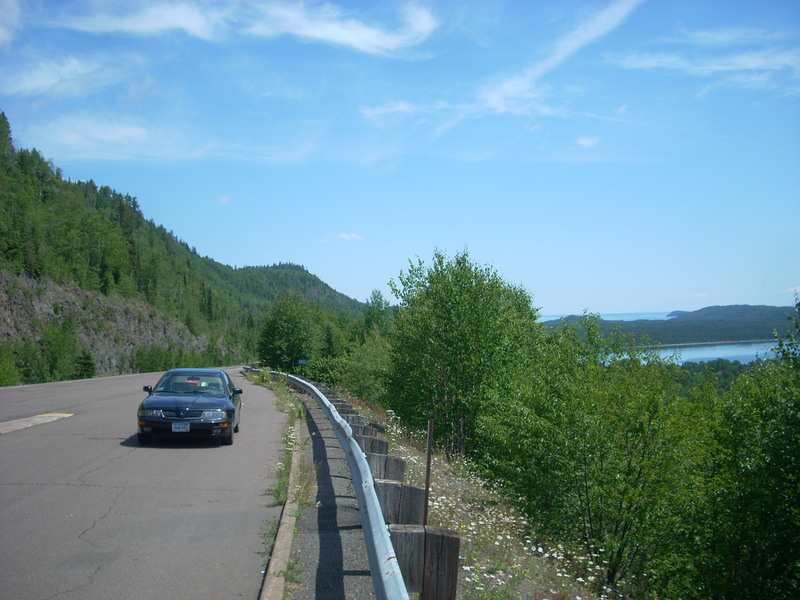 This entry was posted in Highway Highlights and tagged Bluffs, Forestville Mystery Caves State Park, MN, MNHS by Seth5544. Bookmark the permalink.